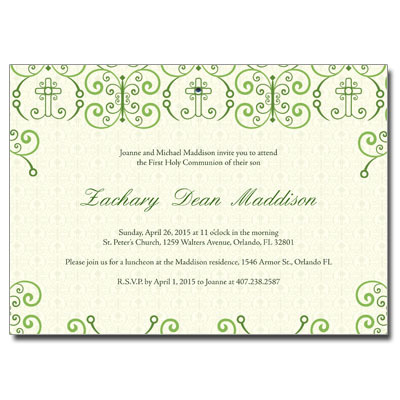 An ornate pattern of green flourishes and crosses is printed on ecru paper and finished with a crystal jewel on this First Communion invitation. Script type adds a delicate touch. Card measures 7x5 inches and includes matching envelopes.